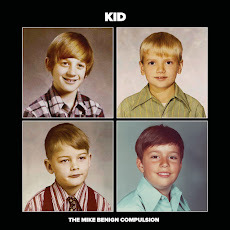 The Mike Benign Compulsion: "Gorgeous, well-crafted and fetching." First review of the new album is in! "Gorgeous, well-crafted and fetching." First review of the new album is in! Terry Flamm of Broken Hearted Toy weighs in with the first review of "Here's How It Works," the new album from The Mike Benign Compulsion. Go here for the review. And watch this site for details on when and where the album will be available.